Like all our applications, EyeFrame’s games are designed with you in mind! Built on HTML5, our gaming applications are not only guaranteed fun but also they are guaranteed customizable so you can represent your brand and products while also attracting and commanding a crowd on the trade show floor. Trade show attendees love giveaways. EyeFrame’s Slot Machine application is the perfect game for drawing a crowd and promoting your brand. Want to collect lead data while having fun? 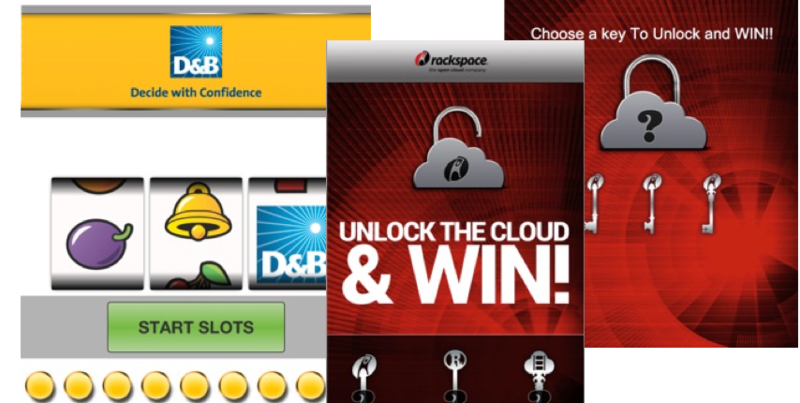 Attach a survey to your Slot Machine and get to know your participants before handing out prizes. 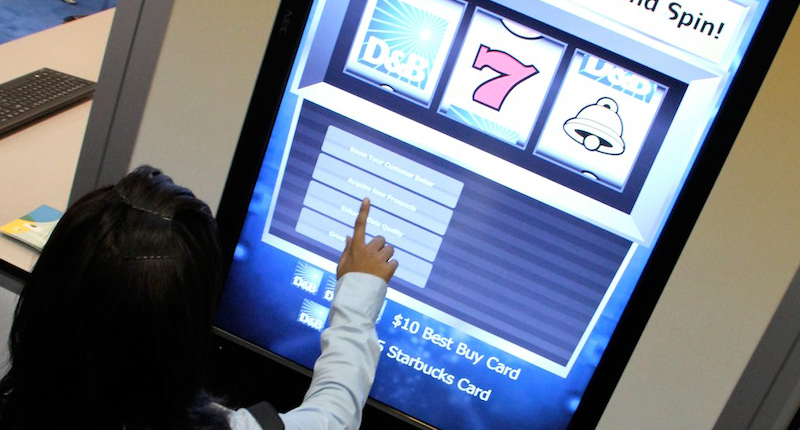 With EyeFrame’s Lottery application, you can dominate the trade show floor both during and after an event. Interject your brand and signage, determine contestants based on the lead data you’ve collected in EyeFrame, and create an easy-to-follow agenda with our hourly, daily or weekly lottery settings. It’s easy and can be done on the fly – anytime and anywhere! 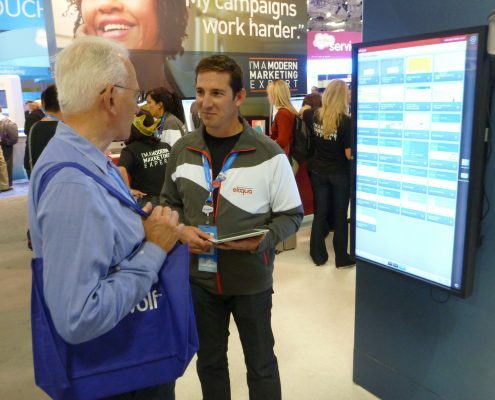 Our arcade games let you engage with leads long after an event has ended. With the ability to upload custom banners, links and ads, you can divide your leads into teams and create a leaderboard so that your clients can have fun and compete while taking in your brand’s newest initiatives and products. Ready to set your audience up to have more fun AND gain intelligence for your company and vendors?